Debuting in print for the first time, High Crimes, a murder mystery written by Dead Letters scribe Christopher Sebela, is the premiere graphic novel illustrated by rising star Ibrahim Moustafa! Disgraced Olympic snowboarder Zan Jensen has relocated to Kathmandu as a climbing guide, while running a sideline business as a high-altitude grave robber. When a body is found at the summit of Everest with a treasure of state secrets under its skin, Zan finds herself in the crosshairs of a government hit squad bent on bringing the body home. As she races to the roof of the world, Zan will navigate bullets and avalanches to find salvation in the deadliest place on earth. 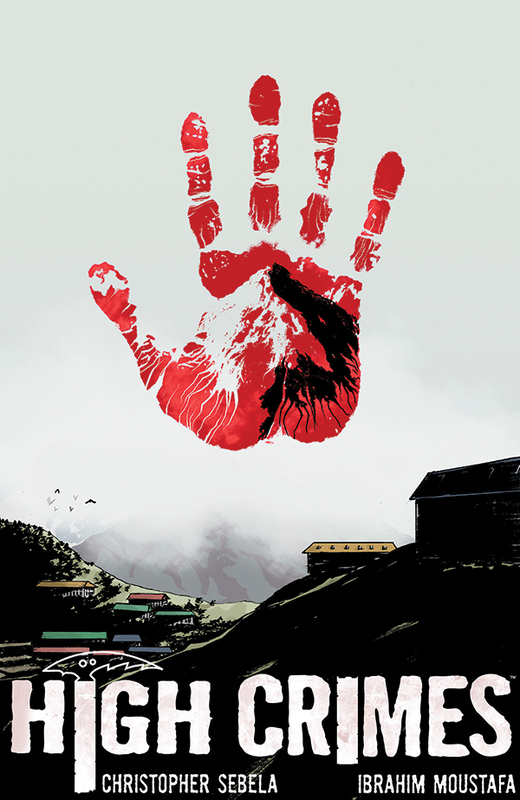 The High Crimes hardcover goes on sale July 8, 2015!